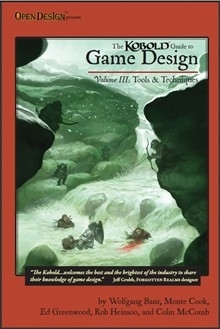 The Kobold Guide to Game Design Volume 3 is a great resource for both professional designers and advanced GMs who want to take their homebrew campaigns to the next level. "...The strongest pieces in the entire series." This title was added to our catalog on June 03, 2010.